Product and travel reviews. | If traveling were FREE you'd never see ME. If traveling were FREE you'd never see ME. While trying to maintain healthy eating habits, one thing to do is to know what ingredients are present in the foods you are consuming. According to nutritionist Dr. Alvin Berger, MS, Ph. 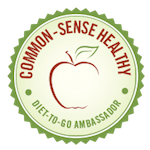 D, Adjunct Professor of Nutrition, University of Minnesota, and Co-Founder LifeSense Products. “It is important to understand the amount of Carbohydrates on the nutrition facts label,” he believes. In the Unites States, our dietary food labels are regulated by the Food and Drug Administration (FDA) and United States Department of Agriculture (USDA), says Alvin, who is also the author of the e-book “Coconut Oil: Is it Actually Good for you?”. “These regulatory bodies have made every effort to improve our food labels for clarity and accuracy over the years. And yet, there is tremendous confusion on how to interpret food labels,” he adds. Here are tips to understanding the carbohydrate and sugars on the label, due to the negative health consequences of consuming excessive carbs; as a courtesy to the huge amount of people trying to cut back on their carb intake to follow popular low carb “keto” diets; and as a service to the diabetic community, that truly need to understand what they are consuming for the best management of their situation. Total Carbohydrate (TC): If you are maintaining a “Low-Carb” lifestyle, and TC is high (more than 20 grams per serving), the food could still be healthy and acceptable. TC also contains fiber (insoluble and soluble forms), and fibers (also known as pre-biotics) are the healthy molecules that are not-digestible by human cells, but are a great energy source for colonic microbes, and can also slow down simple carb digestion. So, the first order of business in deciphering TC is to subtract off the fiber, resulting in “Net Carbs” (NC). If the fiber content is 11 grams, NCs are 14 grams. Sugars: Sugars refers to the amounts of monosaccharides (glucose and fructose as examples) and disaccharides (sucrose as an example) that are determined to be present based on chemical analysis, or determined by a reference source (less accurate). A food can have small amounts of naturally occurring sugars, but most of the sugar on a label comes from “added sugars”, those sugars that are not naturally occurring in the food, ingredient, or supplement. Unless you are performing rigorous exercise, the levels of simple sugars in a food should be low (well under 10 grams per serving) because high levels of simple sugars are converted to fat and stored in our adipose tissues; can cause low energy swings; contribute to cavities; and make it more challenging to burn fats; and there are many other concerns for high levels of simple sugars in our food and liquids. Simple sugars in liquids are faster absorbed and the negative consequences amplified. Sugars in and of themselves are not health villains, it is the amount of sugar that matters. Starches: Dietary starches can be detrimental to health when consumed in larger amounts; and when converted to simple sugars in our bodies, raise blood sugar (in some cases, rapidly, think corn starch). Many people think of starches as healthy and focus more on the sugar content on the label, rather than the TC. Understanding starches is not simple, because the rate of generation of sugar depends on processing, storage, and source. Starches are naturally occurring (as in breakfast cereals) or added molecules consisting of long linkages of glucose simple sugar. The rate at which a starch releases simple sugars upon digestion relative to a reference is known as the Glycemic Index or GI, a high GI being detrimental. Examples of high GI starches to avoid are corn starch and the starches in white bread. Polyols: Polyols (also known as sugar alcohols) are types of carbohydrates added to foods to provide “bulk” that upon digestion yield less calories than sugars typically due to incomplete digestion. Examples include maltitol, sorbitol, xylitol and erythritol. In some sensitive people, polyols may cause GI discomfort, but in smaller doses, and for the masses of people, they are not a concern. Clearly, as a Nation, we need to decrease the amounts of sugars we consume and by reading the labels is a first step. “Sugary diets are linked to not only obesity and contributing to the current obesity epidemic, but to also increased risk of heart disease, diabetes, poor dental health, high blood pressure, and high cholesterol,” according to Alvin. The increase in sugar intake is alarming. About two hundred years ago, Americans ate 0.09 ounces of sugar per day. In 1970, we ate 5.4 oz of sugar per day, and today, about 6.7 oz daily, or 3 pounds or six cups of sugar per week. The United States ranks as having the highest average daily sugar consumption per person. “As a general guideline, when reading the food labels, if sugars are less than 10 grams, and preferentially five or less, consider purchasing,” Alvin advises. About Dr. Berger: Nutritionist and lipid biochemist Dr. Alvin Berger (MS, Ph. D, Prof) is also a specialist in ketogenic fats with 89-peer reviewed publications in scientific journals and 139 presentations on lipids at technical conferences. Dr. Alvin Berger has 30 years of research experience in nutritional and pharmaceutical sciences in both academic and commercial settings. 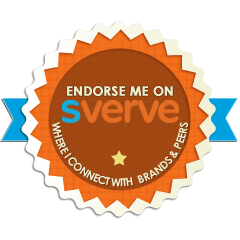 He has been responsible for leading teams and identifying research directions to support business goals, and developing, designing and releasing new products. A past NIH Fellow, Adjunct Professor Nutrition, and CEO of Sciadonics, Inc., Dr. Berger is also the co-founder of Life Sense Products, and is a featured specialist in the web series, “Real Skinny on Fat,” where he provides insights about KetoMCT and other ketogenic fats, which most recently was spotlighted on The Dr. Oz show. A year ago I was introduced to to the Keto diet. Skeptical at first. However, now I am a believer. I am currently doing dirty Keto as I am able to maintain. Photos are from three months ago and I’ve lost more weight since! I’ll keep you udpated on my journey. Valentine’s Day is almost here again – and Precious Moments has an assortment of thoughtful Valentines Day Gifts ranging from functional tableware to heartwarming figurines to make that special person in your life feel the love. The Bountiful Blessings, “Seasoned With Love” Ceramic Oval Serving Dish is carefully hand-crafted of glazed ceramic. Whether you’re enjoying a casual breakfast with the family or hosting a holiday dinner party, this lovely tableware adds a welcoming touch of heartwarming love to every dish. It’s offfered in a creamy white color, with a cozy farmhouse appeal. It’s unique and practical shape makes it useful for any occasion. 54 days until our next cruise… Our next adventure will be a 7 days Western Caribbean Cruise from New Orleans, LA. We are super excited! Sparkling Ice Launches *New Naturally Line! Sparkling Ice®, part of Talking Rain Beverage Company®, announces today a brand refresh by introducing a new formula featuring naturally sourced colors and flavors, in addition to an updated logo and packaging design. Over the course of two years, Sparkling Ice conducted extensive marketing research and sensory testing with over 8000 consumers. This consumer driven project resulted in Sparkling Ice updating their flavorful, zero sugar sparkling water to now include colors from natural sources. With this new formulation, Sparkling Ice is proud to be one of the first brands to successfully transition to natural colors while maintaining the vibrant look and long shelf life that Sparkling Ice is known for. As a result of consumer feedback, Sparkling Ice also developed a more modern and unified look. This new design and updated logo will be featured on each bottle and multipack, offering a stronger visual impactful to the brand block on-shelf. In conjunction with the campaign, Sparkling Ice launched a new “Sparkling IceMaker” voice skill with Google Assistant and Amazon Alexa to provide consumers with Sparkling Ice cocktail and mocktail recipes to make in the comfort of their own home. Consumers can quickly engage with Amazon Alexa or Google Assistant by sharing which Sparkling Ice flavor and spirit they currently have on hand to access a variety of different recipes on behalf of the brand. Sparkling Ice’s new formula is now available in retail locations nationwide. For more information about Sparkling Ice products and flavors, please visit www.SparklingIce.com, www.facebook.com/SparklingIce and www.instagram.com/sparklingice. Sparkling Ice beverages are made with zero sugar, and combine sparkling water, real fruit flavor, vitamins and antioxidants to offer great tasting, lightly carbonated beverages. Available in sixteen fizzy, fruity flavors, including: Black Raspberry, Orange Mango, Pink Grapefruit, Kiwi Strawberry, Coconut Pineapple, Pomegranate Blueberry, Peach Nectarine, Lemon Lime, Crisp Apple, Classic Lemonade, Strawberry Lemonade, Cherry Limeade, Strawberry Watermelon, Black Cherry, Grape Raspberry, and Ginger Lime. Sparkling Ice is part of the Talking Rain family of beverages, and retails for $1.19-$1.29. To locate Sparkling Ice, visithttps://www.sparklingice.com/buy/. Recently, I was introduced to the Atem Car Air Purifier. The most advanced cabin air purifier on the market. The Atem Car was recently launched and is designed to deliver purified air to families traveling in a passenger vehicle. Families can be exposed to a toxic mix of air pollutants when riding in a car. In fact, research shows air the inside of a car can be up to 15 times more polluted than the air outside a vehicle. In short, the IQAir Atem can’t clean rooms. However, it is powerful enough to purify the air in a standard four wheel vehicle. And is perfect for those with allergies and lung issues. This system cleans the air up to 20 times per an hour and absorbs odors and gases while changing the pollutants to an oxidized form. Which results in the air being free from odors, gases and chemicals while being houses in a sleek housing unit which is designed to blend into any vehicle cabin. And is super easy to install. You really can’t put a price on your loved ones health and it does come with a hefty price tag retailing at $399.00. Considering how much time our “precious cargo” spends in the car, a car air purifier is very much needed. Take control of the air you breathe! Did you know March is National Nutrition Month? Kick start your month with focusing on gut-health! Rowdy Prebiotic Foods is dedicated to providing tasty, paleo, nutritious snack bars to boost health and energy. 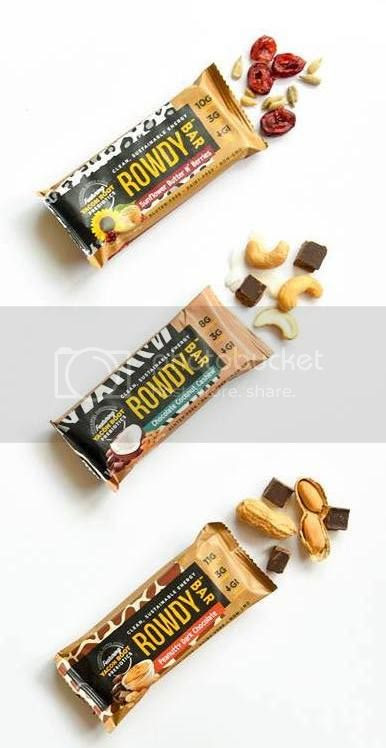 With less sugar, more natural sweeteners and paleo friendly foods, Rowdy Bar is sure to be your go-to all March long and beyond. Rowdy Bar is leading the charge into the prebiotic marketplace with the first all natural energy barfeaturing the gut-health superfood Yacon Root. Rowdy Bars are the prebiotic powerhouse full of Yucon Root, the alternative sweetener needed to create low-glycemic, high flavor bars for energy on the trail, the stage, or in the office. Each Rowdy Bar is crafted with 10 or fewer whole food ingredients and no artificial flavors. 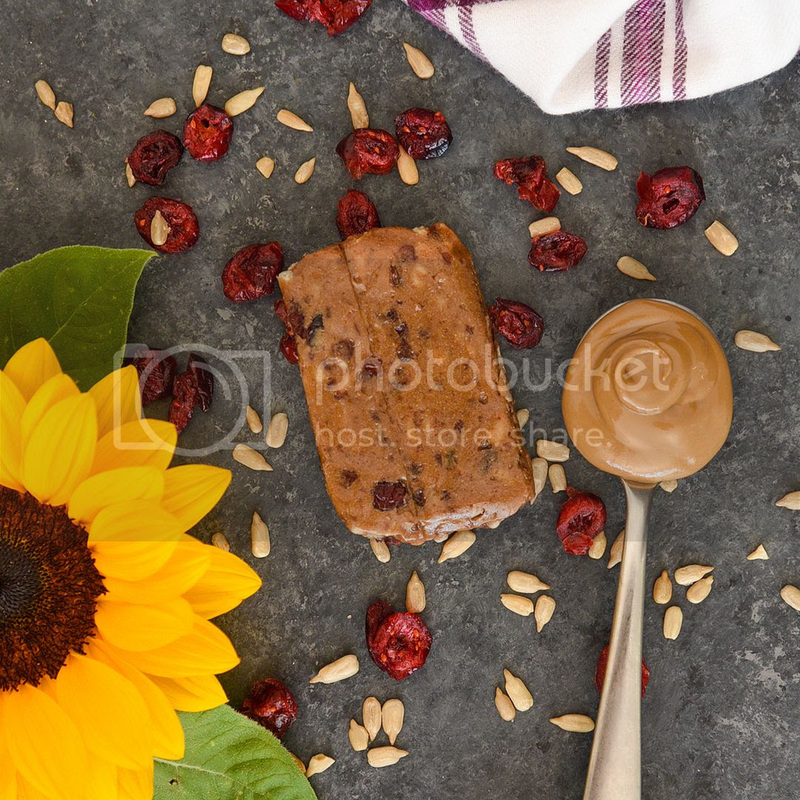 These delicious bars are the perfect afternoon pick me up during busy season at work, maintaining a healthy diet, or the perfect on-the-go snack. Rowdy Bars are available in decadent Chocolate Coconut Cashew, Peanutty Dark Chocolate and Sunflower Butter N’ Berries! Opt for smart, delicious nutrition to keep your day moving smoothly and your energy intact. Elevate your nutrition and spring clean your gut with Rowdy Prebiotic Foods! To learn more, visit www.rowdyprebiotics.com, or pick some up online and at independent grocery stores, gyms, and health centers nationwide. I have a passion for photography, makeup and being random. Talking about random, I am a 30 something mother of one. 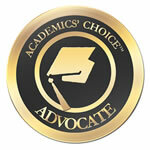 And I recently became an advocate for the disabled and elderly. And believe in changing Guardianship laws. I have a love for the outdoors and enjoy traveling. My mini me. Who's very energetic and has a passion for football.